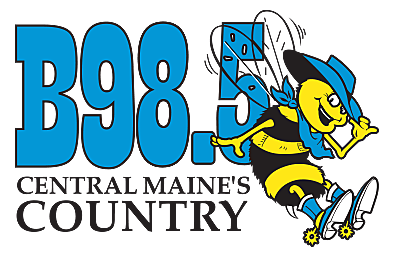 B98.5 is again, central Maine's home for the New England Patriots regular season action. Listen to every game, starting with a 3 hour pregame and wrapping up with the post game analysis and interviews. Thu., Aug. 9 Washington Redskins 7:30 p.m. Thu., Aug. 16 Philadelphia Eagles 7:30 p.m.
Fri., Aug. 24 @ Carolina Panthers 7:30 p.m. Thu., Aug. 30 @ New York Giants 7:00 p.m. Sun., Sept. 9 Houston Texans 1:00 p.m. Sun., Sept. 16 @ Jacksonville Jaguars 4:25 p.m. Sun., Sept. 23 @ Detroit Lions 8:20 p.m. Sun., Sept. 30 Miami Dolphins 1:00 p.m. Thu., Oct. 4 Indianapolis Colts 8:20 p.m. Sun., Oct. 14 Kansas City Chiefs 8:20 p.m. Sun., Oct. 21 @ Chicago Bears 1:00 p.m. Mon., Oct. 29 @ Buffalo Bills 8:15 p.m. Sun., Nov. 4 Green Bay Packers 8:20 p.m. Sun., Nov. 11 @ Tennessee Titans 1:00 p.m. Sun., Nov. 25 @ New York Jets 1:00 p.m. Sun., Dec. 2 Minnesota Vikings 4:25 p.m. Sun., Dec. 9 @ Miami Dolphins 1:00 p.m. Sun., Dec. 16 @ Pittsburgh Steelers 4:25 p.m.
Our live broadcasts are powered by Hight Chevrolet, Skowhegan and Farmington, Damon's Family of Stores and Hammond Lumber! The broadcasts are also powered by: Pleau’s Market.